Last week Josh and I celebrated our 3 year anniversary! 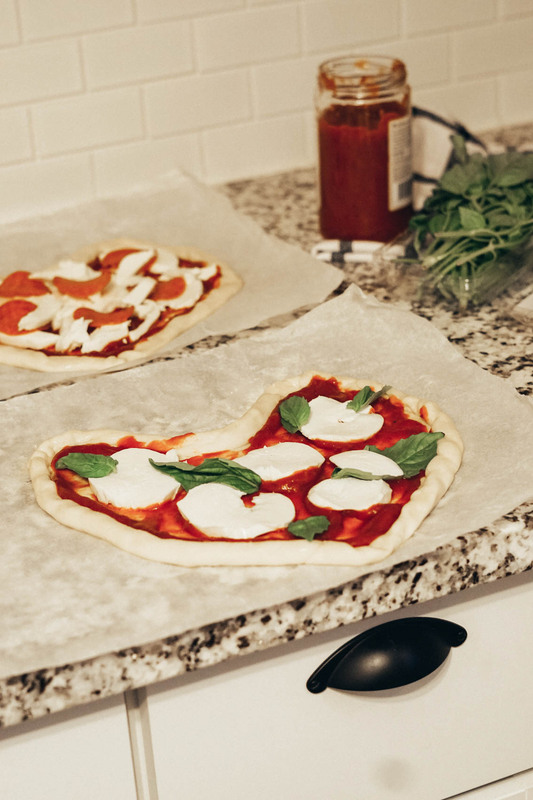 I made these cute heart shaped pizzas for us to indulge in together. 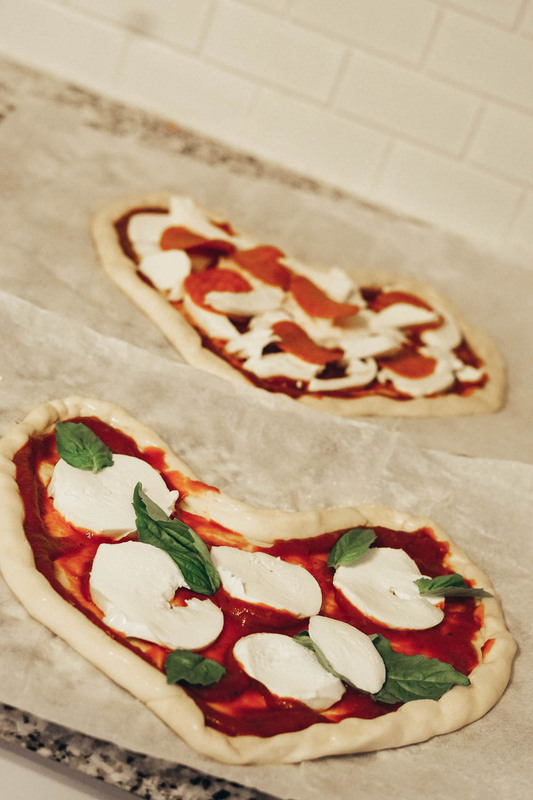 These are perfect for anniversaries, Valentine’s Day, or just because! 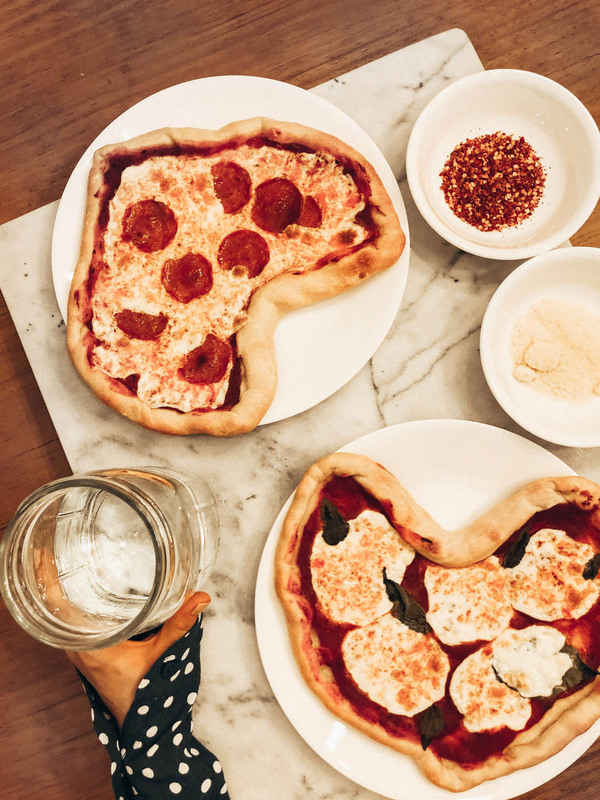 Who doesn’t love homemade pizza, amirighttt? 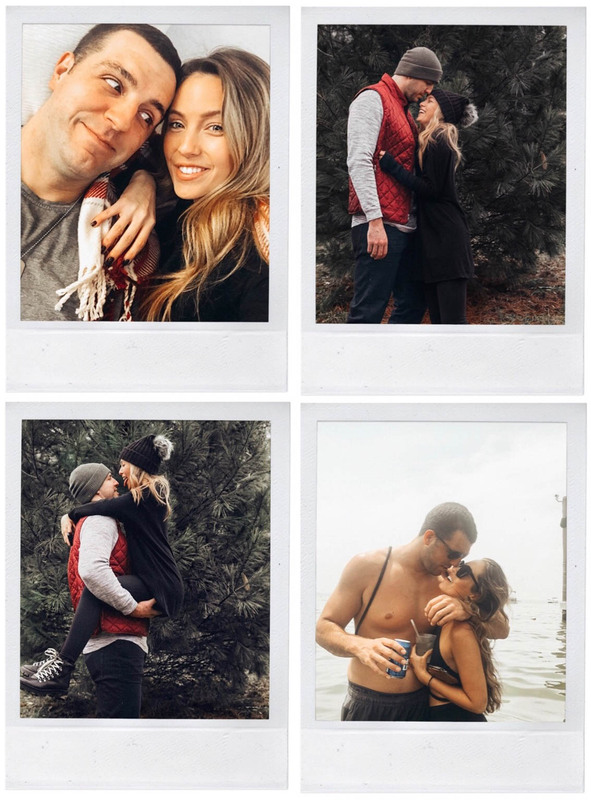 Find out how Josh and I met here! 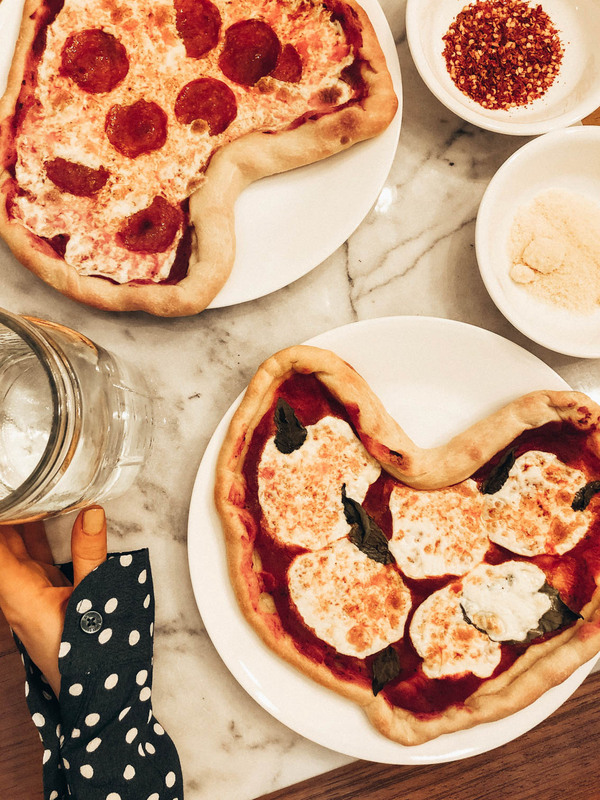 Need more ideas for V-Day or a Galentine’s Day party? Check out this recipe for Pink Glitter Donuts, Cherry Pie Pops, & Boozy Valentine’s Day Floats!